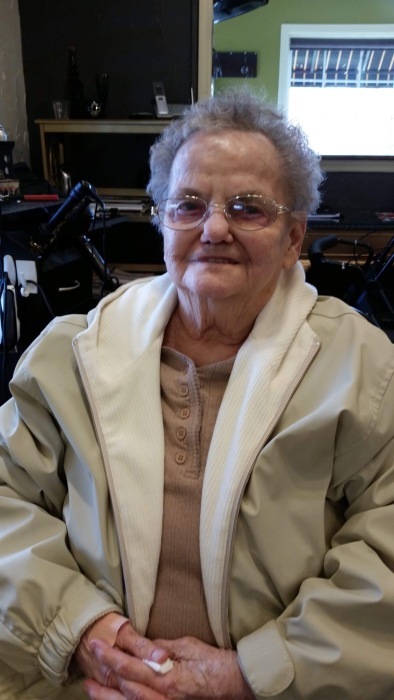 Barbara Jean Auterson, 81, of Terre Haute, Indiana, passed away April 14, 2019. She was born April 8, 1938, in Vigo County, to Earl and Beulah Elliott. Barbara was a loving and caring mother and grandmother. She loved all of her grandchildren and great grandchildren very much. She loved playing Yahtzee, cards, and bunko with her best friends Mary Elliott and Grace Stillman. Barb retired from General Housewares after 35 years of service. Barb is preceded in death by her mother Beulah Elliott and her father Earl Elliott; sister Connie Jo Wilson; niece Jennie Wilson; and grandson Jason Auterson. She is survived by her children Carol Scurlock and Patty (Ron) Pharis, and Toby Auterson (Kim); grandchildren Wayne Stillman, Miranda Zavala, Nichole Scurlock, Justin Goodwin, Josh Goodwin; and great grandchildren Harlee Stillman Louis Zavala, Olivia Zavala, Rogin Goodwin, Kayden Goodwin, and Marissa White; former husband Marion Auterson and his son Ronnie (Christina) Auterson; brother Ron Elliott; nieces and nephews Tim Wilson (Paula), Ron Elliott (Leighanna), Emileigh Elliott and Abagail Elliott. Funeral services are scheduled for Wednesday, April 17, 2019, at 1:00p.m. in Greiner Funeral Home, 2005 North 13th Street, Terre Haute, Indiana, 47804. Burial will be in Roselawn Memorial Park. Visitation will be at the funeral home on Wednesday, from 11:00a.m. until service time.